You are here: Home / Weekly Columns / Opinion / Still Want To Use Windows 7? Be Ready To Pay Monthly Charges. Still Want To Use Windows 7? Be Ready To Pay Monthly Charges. 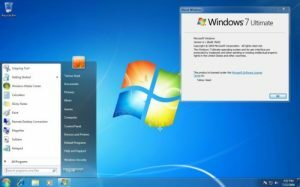 (ThyBlackMan.com) Windows 7, while still a preferred choice in the workplace, will not be supported by Microsoft after January 2020. Once the operating system loses support, it will no longer receive security updates and patches to protect users against vulnerabilities. This will expose the Windows 7 devices to cyber attacks and exploitation. That is why many companies and individuals are purging Windows 7 and choosing Windows 10. What if you will still want to use Windows 7? Well, you can. If you don’t want to upgrade to Windows 10, you only have two choices. Stick to your current Windows 7 version, receive free OS updates till January 2020 and then start paying for the future updates. If that doesn’t sound good to you, you’re left with the only choice – use the unprotected version of Windows 7, which is not a smart idea. In Microsoft’s official blog, the company’s Corporate VP for Windows Marketing writes “we will offer paid Windows 7 Extended Security Updates (ESU) through January 2023.” It clearly means that if you want to keep Windows 7 on your system after January 14, 2020, be ready to pay a monthly fee. Microsoft has confirmed that the prices will go up every year and this support will be available for three years. To run Windows 7 safely on your computer, this is the only way. Microsoft has not confirmed anything regarding the charges they are planning to put on Windows 7 Extended Security updates, but it looks like a good news to many users. Microsoft has already confirmed the product life cycle of different Windows OS versions. For Windows 7, the end of support date is January 14, 2020, and for Windows 8.1, it will be January 10, 2023. The mainstream support for both the operating systems has ended in January 2015 and January 2018 respectively. The company could have cut off support for all the Windows 7 users, but fortunately, they have come up with a new plan. Now instead of leaving millions of PCs vulnerable to exploits and attacks, people can pay and receive security updates and patches for another three years. Some people are not happy with this move because Windows 7 is still being used by a large number of people and many were thinking that the company will extend the support period for free. In recent surveys, it was found that Windows 7 still has 40.3 percent share in the PC market and 45.9 percent of these devices run Windows. As of August 2018, Windows 7 was still the most used operating system in the world. Windows 10 will certainly take the top place in the coming months, and it’s safe to assume that the Windows 10 will run most of the Windows systems worldwide. Although Microsoft is hoping to kill Windows 7 as soon as possible, it looks like it won’t happen anytime soon. With the extended support updates announcement for Windows 7, Microsoft also said that Windows 7 PCs will support Office 365 ProPlus on the devices using ESU, and the application package will be supported through January 2023. So it clearly means that those who are ready to buy ESUs will be able to run Office 365 ProPlus on their systems. Many people who have been using Windows 7 were expecting that Microsoft could offer free support to its huge user base, but things have changed. Microsoft is offering the extended update support to Windows 7 Professional and Enterprise users only. It means that those who are using Windows 7 Home are not eligible for this offer. Microsoft has not shared all the details about the same, so there are chances that the company may change its decision. If they won’t, all the Windows 7 users will have to buy Windows 10 soon after the extended support period ends. Remember, Microsoft is no longer selling Windows 8.1 and Windows 10 free upgrade program no longer exists, so in the end, users will have to pay for the full version of the Windows 10. I know quite a few Windows XP and even *drum-roll please* Windows Vista hold outs. Microsoft has lost its A.I mind. What is up with Microsoft? First Windows XP, and now Windows 7? They will continue to force Windows 10 upon us all.